NIU Accountancy majors Hend Alkarzon, Chad Young, Cammi Krause, and Jordan Arcilla were selected by the American Institute of CPAs (AICPA) to participate in the 2019 Accounting Scholars Leadership Workshop. The four NIU students are among an elite group of 100 students nationwide to earn a spot into this all expenses paid leadership workshop. All four AICPA Scholars have that same level of respect for and gratitude to the NIU accountancy faculty and the program. The Accounting Scholars Leadership Workshop is an annual application-only event for highly accomplished minority accounting students. The workshop strengthens students’ professional skills and increases their understanding of the career possibilities and benefits of earning the CPA credential. Master level accountancy student Jordan Arcilla crystalizes the reaction to being selected. “Like my fellow NIU AICPA Scholars, I am incredibly honored. This is a prestigious event for anyone in the field of accounting,” Arcilla says. In order to qualify, applicants must intend to pursue the CPA designation, maintain a minimum 3.0 GPA, be an ethnic minority and a U.S. citizen (or Permanent Resident), and be actively involved in campus and community activities, among other criterion. Shortridge, who is proud that four NIU students were selected, admits being hard pressed to think of more deserving candidates. Attendees of the 2019 Accounting Scholars Leadership Workshop will participate in learning sessions and panel discussions with experts, including a number of CPA professionals, from across the country. The workshop will cover a wide array of topics from developing leadership skills to passing the CPA exam. The event will be held in Denver, Colorado on May 15-17th. Founded in 1887, the AICPA is the world’s largest member association representing the accounting profession. A long-standing objective of the association is to increase diversity within the accounting profession. AICPA membership includes more than 431,000 professionals in 137 countries and territories, and spans many areas of practice from business, public practice, government, education to consulting. Hend Alkarzon. During her tenure as an undergraduate accounting major, Alkarzon conducted faculty-guided research as part of the university’s Undergraduate Research and Artistry program. 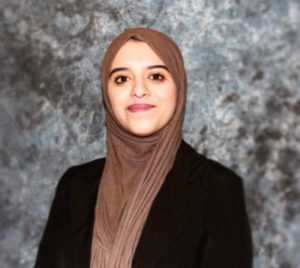 She served as vice president of diversity for the NIU chapter of the Association of Business Students. She also served as treasurer of the Muslim Student Association. Over the years, Alkarzon has been an ongoing member on the Department of Accountancy Leadership Advisory Council, the National Society of Collegiate Scholars, and in the Leadership Academy. Most recently, Alkarzon was among a small cadre of high-achieving female students to receive the 2018 NIU Outstanding Women Student designation. Currently a first-year master-level accounting student, Alkarzon serves on the NIU Presidential Commission on the Status of Women. Chad Young. Young’s extracurricular activities intensified as a community college student. While completing his associates degree, Young served as an accounting and economics tutor at Kishwaukee College. He also actively participated in the Volunteer Income Tax Assistance Program (VITA) as a tax associate/preparer. His other activities included ongoing membership in Phi Theta Kappa, the National Society of Leadership and Success, and the Kishwaukee College of Business Club. At NIU, Young serves as a student voting member on the NIU Department of Accountancy Curriculum Committee and on the NIU Accountancy Leadership Advisory Council. He is also a student ambassador in the NIU College of Business ambassador program and an incoming member of the Beta Gamma Sigma Honor Society. Balancing work and school comes naturally to the accounting senior. 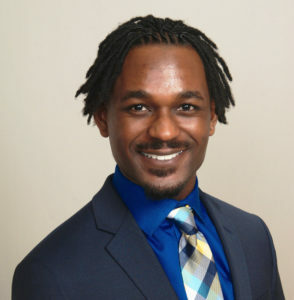 Beyond his academic and campus focus, Young has held a variety of professional positions, including customer service representative with Fifth Third Bank and financial capability manager with the Center for Economic Progress at Waubonsee Community College, respectively. Jordan Arcilla. Arcilla, a graduate level accounting student, has been active throughout his undergraduate and graduate experience in the NIU accountancy program. During his undergraduate tenure, Arcilla held leadership positions in several university and student associations, among them the: NIU Residence Hall Association, Student Accountancy Society, AARC Building Renovation Committee, Grant Hall Council Executive Board, and Asian-American Resource Center. Arcilla has also been named a university honors fellow and a peer mentor in the university Honors Program. 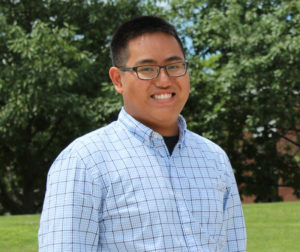 He was instrumental in the planning and implementation of the “OHANA!” peer mentor program conducted out of the NIU Asian-American Resource Center. As a peer mentor, Arcilla assists new students with adapting to life at NIU and in the United States. Previously, he served as president of the Internal Audit Student Association. Currently, Arcilla serves as director of the National Residence Hall Honorary, and he is also a graduate research assistant in the NIU Department of Management. Cammi Krause. Krause, a sophomore in the program, has already amassed an impressive list of activities. She’s in the university’s Honors program and a member of the NIU College of Business Women’s Leadership Institute. While she pursues her studies, Krause also holds down a part-time position waitressing at Greenfields of Geneva, a retirement community that provides independent living facilities, assisted living facilities, memory support and skilled nursing. 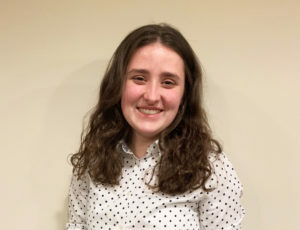 During the 2019 tax season, Krause worked part-time at Siepert, a small accounting firm. The experience helped Krause gain first hand exposure to the field of accounting.